Tempted to lighten your locks to see if blondes really do have more fun? Put down the bleach hair dye and read this first. Misusing hair bleach can lead to bleach damaged hair, which is brittle, breaks easily, and can even lead to hair loss. Keep reading to learn how to avoid bleach damaged hair and find the best treatments to repair bleached hair. 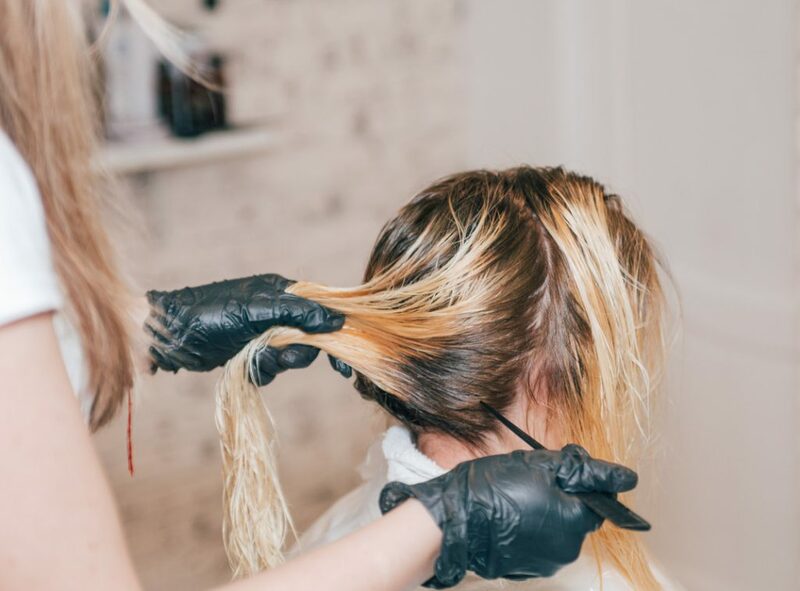 To lighten hair, colorists coat strands in hair bleach, which works by dissolving pigments in the hair shaft through a process called oxidation. The longer the bleach is left on the hair, the lighter the hair gets. Hair bleach raises the scales of the hair’s cuticle. And going overboard with bleach can leave these cuticles permanently raised. The result? Hair that’s dull, dry, brittle, and prone to breakage. 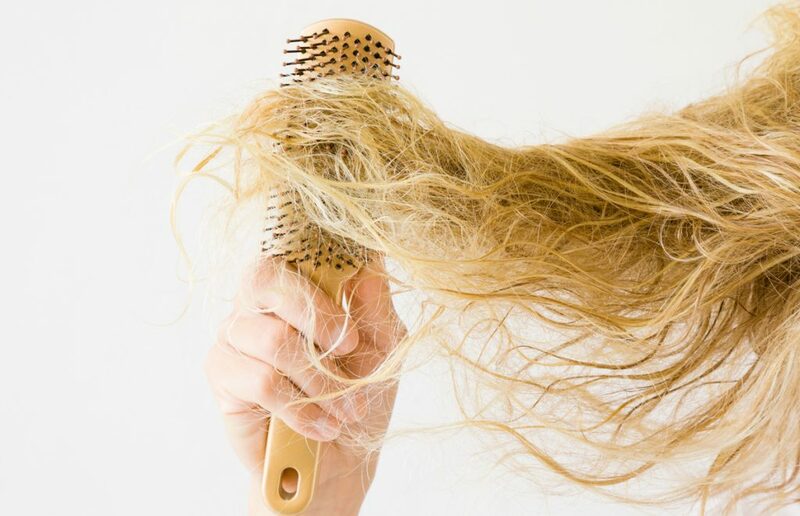 Over time, hair can snap off, leading to hair loss and shedding. While the best way to repair bleach-damaged hair is to simply put down the bleach, Toppik Hair Building Fibers are a great secret weapon to instantly disguise thinning areas due to bleach damage. Repeatedly bleaching the hair. Hair bleach has a cumulative effect, so the more times you lighten your hair, the more damaged it will be. Undergoing big color changes (i.e. very dark hair to platinum blonde) in a very short amount of time, since the bleach has to be left on the hair shaft longer for the desired result. Bleaching hair that’s already damaged from color, over-styling or other factors. Bleaching hair requires strong chemicals that can easily damage hair if you don’t know what you’re doing. That’s why it’s best to visit a stylist who comes highly recommended, whether through word of mouth or online reviews. Splurge on an experienced hair colorist rather than going with the cheapest option, and definitely avoid going the DIY route! While professional hair coloring can be expensive, it’s essential for avoiding bleach damaged hair. Bleach lifts the cuticles of the hair shaft, which reduces moisture retention, drying out the hair. To lessen bleach’s dehydrating effect, purchase a deep conditioning mask and apply nightly for 3 days before and after your bleaching appointment. Then continue to use the mask weekly to maintain your hair’s moisture levels. It may sound counterintuitive, but visiting your colorist more often is an important way to avoid bleach damaged hair. Once roots grow past one inch, they accept color differently. Thus, if you wait too long between colorings, you can wind up with bands of slightly different shades. This will require all-over bleach to correct, which is more damaging for your hair. Plan to visit your colorist every four to six weeks to touch up your roots. If you want to disguise roots in between hair appointments, use Toppik Root Touch Up Spray, which uses non-damaging pigments to instantly hide the look of darker roots. Do not roughly comb or brush hair. Gently detangle with a leave-in conditioning spray, starting from the roots and working your way to the ends. Hold hair at the mid-shaft while combing to avoid pulling it out from the scalp. Use a smoothing product like Toppik Hair Fattener Advanced Thickening Serum to help close the cuticle, preventing further moisture loss. Cut down on using heat tools. Turn down the temperature on your tools and use them as sparingly as possible. When you do style your hair with heat, always apply a heat protectant spray beforehand. 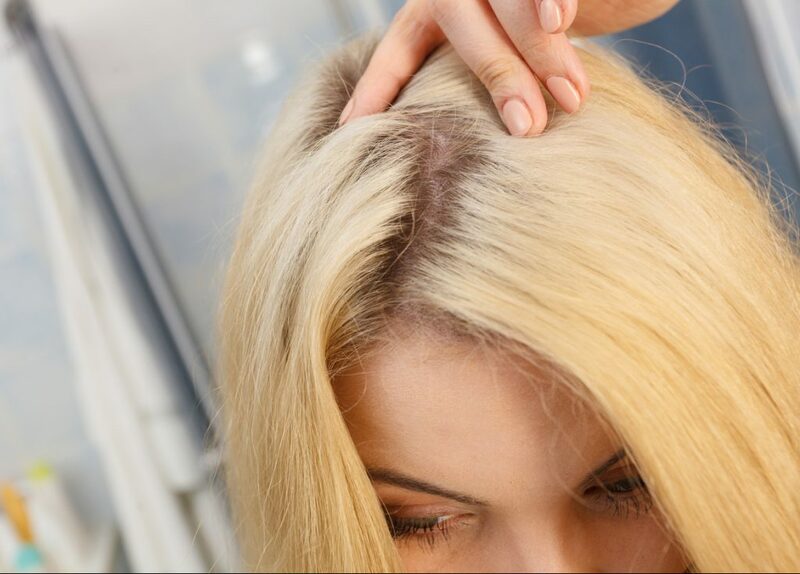 Bleaching degrades the proteins that make up hair. So to reverse the damage, you need to add protein back into your locks with a protein-rich hair mask. You can make one at home by mixing together ½ avocado, 1 tablespoon honey, ¼ cup shea butter, 2 tablespoons coconut oil, and 1 cup Greek yogurt. Apply the mixture to hair, cover with a shower cap, and leave on for one hour. Wash mixture out of hair using lukewarm water, then shampoo and condition as usual. If you have hair thinning from bleach damage, use Toppik Hair Fibers to instantly add fullness to hair. Have you ever suffered from bleach damaged hair? Let us know in the comments!